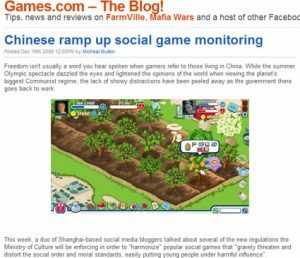 AOL’s Games.com site was already a leading portal for some of the best causal games on the planet but with the growing popularity of social network games like FarmVille, Mafia Wars and Pet Society, the group could no longer ignore the growing audience. Blog.games.com quickly transformed from a purely informational blog about events and announcements from the Games.com team to a consumer favorite resource for discovering newly updated game options, new games, strategies for playing better and insider views from game creators. With two seasoned game journalists on the site and a team of pros willing to get deeper into the story, blog.games.com quickly changed from “little idea” to worthy competition for former leader, Inside Social Gaming. Why is my GPS showing fruit in the road?